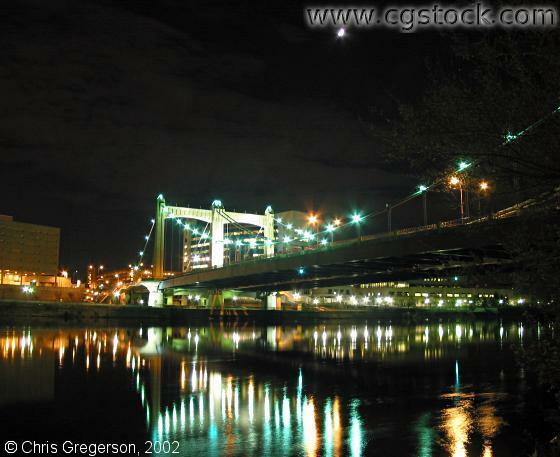 This view is from Nicollet Island. The Hennepin Avenue suspension bridge is on the right. Downtown is on the other side of this river (the Mississippi).